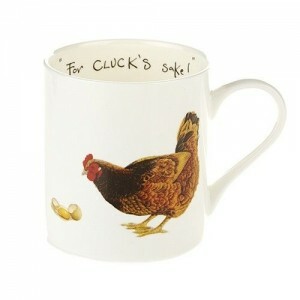 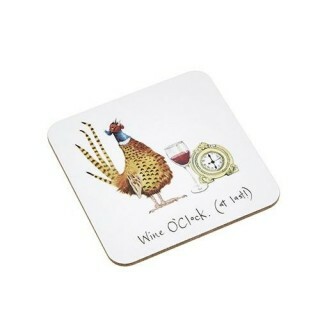 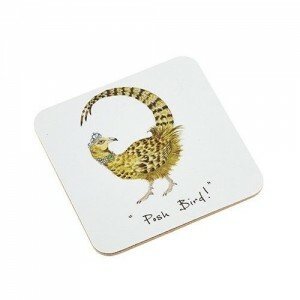 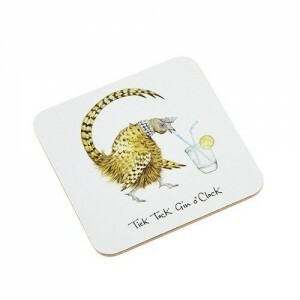 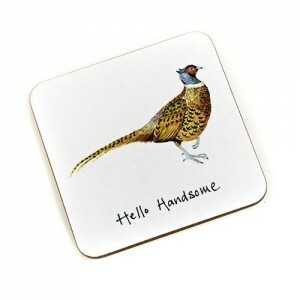 This handsome pheasant coaster with the caption "Wine O'Clock" at last. 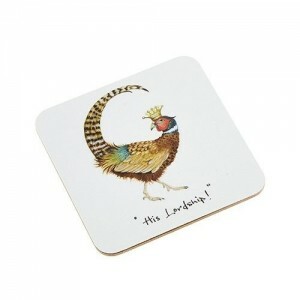 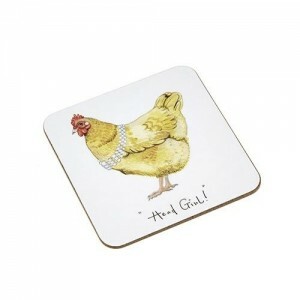 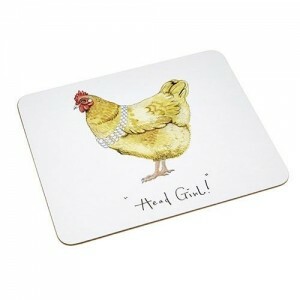 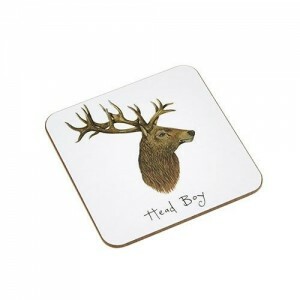 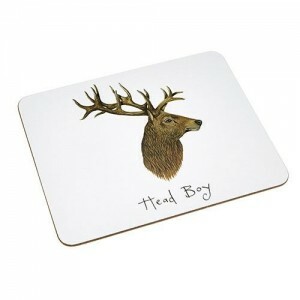 The coaster measures 10cm x 10cm and is made from rigid melamine and has a green baize back. 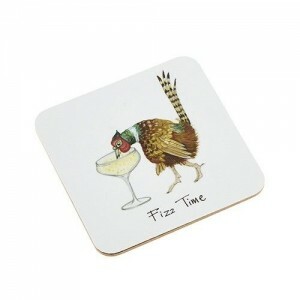 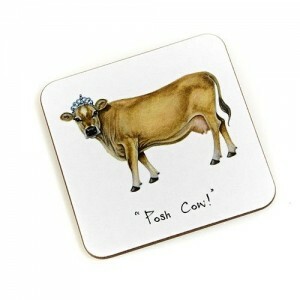 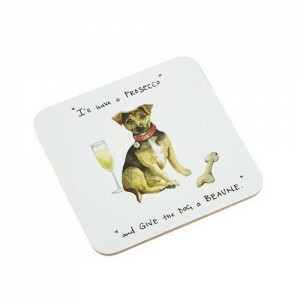 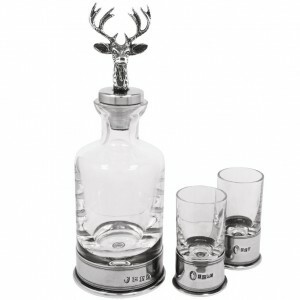 Coaster "I'll have a Prosecco"
Coaster "Tick Tock Gin O'Clock"